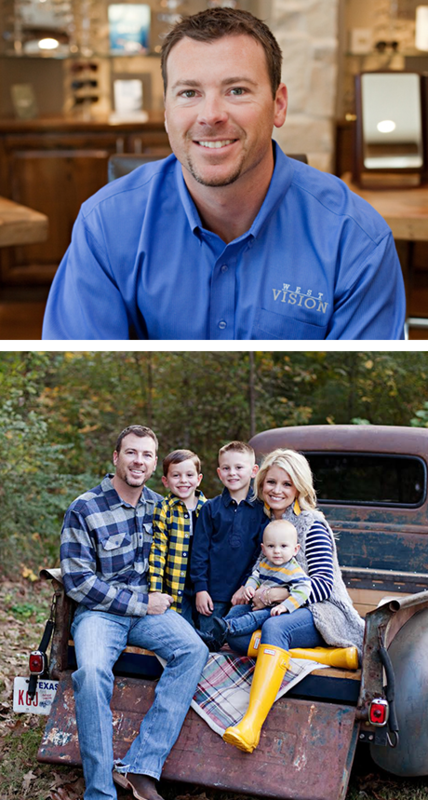 Dr. Jacob West, optometrist, is a skilled and highly regarded eye doctor at West Vision in Tyler, Texas, and caters to the surrounding areas of Tyler, Athens, Canton, Lindale, Palestine, Noonday, New Hope, Antioch, Walnut Grove, Flint, Bullard, Winnsboro, Brownsboro, Chandler, Arp, Mineola, Quitman, Van, and Ben Wheeler. Dr. West manages all aspects of vision care for his patients, including diagnosis and treatment of eye conditions. He prescribes eyeglasses and contact lenses, co-manages LASIK and cataract surgeries, fits low-vision devices, and prescribes specialty lenses for hard-to-fit patients. Dr. West graduated from Texas State University in San Marcos, Texas. He then went on to graduate from the four-year optometry doctorate program at the University of Houston College of Optometry in Houston. Dr. West completed internships at Northeastern College of Optometry in Oklahoma and the University of Houston Mobile Eye Institute bus. In 2014, Dr. West opened West Vision. His goal, then and now, is to provide the best in state-of-the-art vision care technology while treating his patients with skill and compassion. Dr. West and his wife, Shelby, are proud parents of three active young boys named Colt, Collin, and Crew. Family vacations and spending time outdoors are favorite activities when the family has free time. Use the online booking option or call West Vision to schedule an appointment with Dr. West now. "I was honestly losing hope for my eyes. I thought I was going to be blind soon...This Doctor literally changed my life." "If anyone has Keratoconus, walk, no run to this office! God bless you Dr. West for giving my son his life back." "I felt so comfortable knowing that he cares about his patients! I really love the beautiful clinic and friendly staff too. Thanks so much!" "I received the most thorough eye exam at West Vision along with the best bi-focal prescription ever. Dr West and his employees are top notch and I'd highly recommend..."
"I've been wearing glasses and contacts for 26 years and changed to Dr. West last year.Great service and the best glasses I've ever owned." "Dr West is amazing! Thorough with his eye examinations on my family and friendly service! Beautiful office with great selections---So many name brands to choose from!"